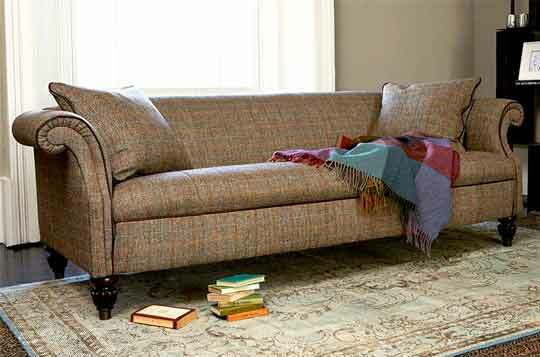 Amazingly comfy yet seriously smart, a gracious large fabric couch with welcoming, curvy arms, seat and back. Ultimate comfort yet no plumping needed. Available in hundreds of fabrics in a multitude of colours. We can even supply the whole lounge suite, 2 or 3 seater or armchair, ready for your perfect family home. Our beautiful hybrid of a traditional small Chesterfield sofa married to a classic English Howard-style sofa. 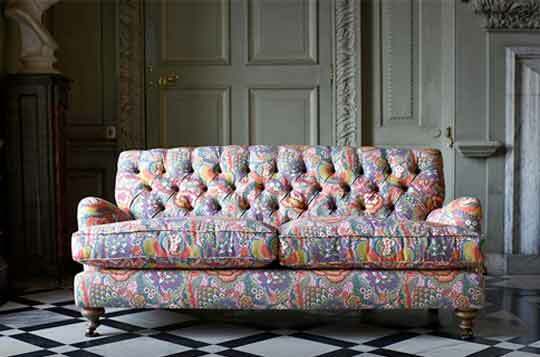 The Chiddingfold modern living room set look particularly wonderful in Liberty prints and luxurious velvet.